Hotel film to promote Hilton at The Ageas Bowl in its unique location, connected to the Hampshire cricket ground. 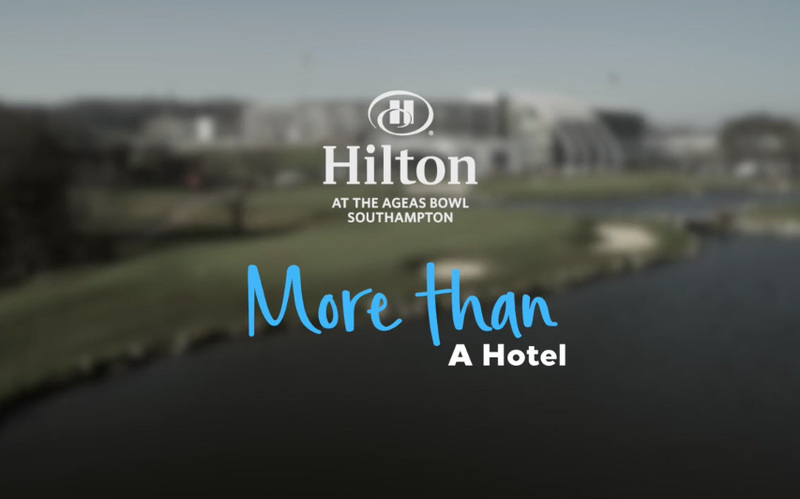 Hilton at The Ageas Bowl contacted TMC to produce two promotional videos. One longer video to be utilised in sales presentations and across digital media and a second shorter video to be used on social media. The resort is unique in that it is integrated with the Hampshire Cricket ground making it ideal for conferences either in the hotel or the Ageas Bowl itself. The Hilton at The Ageas Bowl is a luxury resort located in Southampton, UK. The hotel opened in 2015 to expand on what was on offer from the Ageas Bowl. It is situated right in the heart of Hampshire Cricket making it an experience like no other. The resort has an extensive profile of impressive facilities including a luxury spa, BEEFY’s restaurant in association with Sir Ian Botham, an 18-hole golf course, and outstanding conference rooms. Their spacious bedrooms come with a view of either the Ageas Bowl cricket field itself or the stunning Boundary Lakes golf course. The brief was for TMC to capture all of these amazing features in a 3.5-minute showcase for the hotel to use for all kinds of promotional work. Along with this we also created a snappy 90-second version for use on social media. We spent three days at the hotel with a two-man crew. This involved producing and directing, extensive filming and the use of drone cameras. The result is an impressive film bringing Hilton at The Ageas Bowl to life and really showing off their varied facilities. The video was loved by the client and has been received very well across social media and other platforms.